If you’re looking to buy a home, you’ll be up against stiff competition to get the home you want. Right now, available properties across the country are low, including homes for sale in Cumberland, which means that you’ll be competing with multiple offers on a well-priced home in good condition. Many of the current homes are all-cash transactions to investors as well, which makes it even more difficult to get the home you want. Don’t get discouraged though. If you want the best shot at your dream home in this tight seller’s market, it’s still possible, but you just need to be strategic. Buying a home is a big financial commitment, so you can’t expect to walk into an open house and close the deal. Several months before you start your home search, get copies of your credit report. Ensure you’re in the position to buy a home and shop around for mortgage financing. Many realtors won’t even work with you until you have a preapproval letter and proof of funds, both of which help them negotiate with the seller. If you see a listing you like, don’t hesitate. Homes for sale in Cumberland get snatched up quickly in this market, so be prepared to see them immediately and write up the offer if you think it’s the home for you. 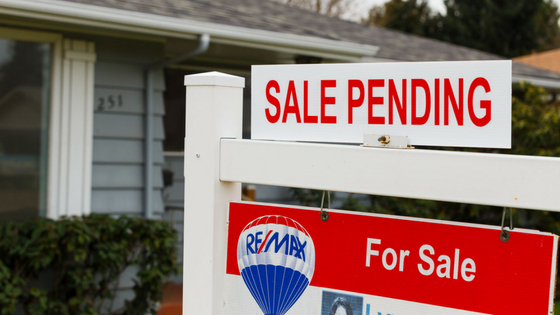 You’re trying to beat out the other interested buyers, so you can’t afford to wait. Homes with tenants inside or being sold by an estate don’t always photograph well, so there’s no need to strike them from your list based on that alone. If the pictures aren’t great, but some of the other details are appealing, such as the floor plan or amenities, it’s worth taking a look in person to see if it may be the right choice for you. You may even get the first shot at a gem that others have passed up. In a competitive market, the seller doesn’t have pressure to make repairs. Some sellers may lower the price if the inspection reveals significant damage or defects, but the inspection should not be used to haggle over small repairs. Be realistic about the inspection. Use it to determine if there are any significant problems and to decide if the home is appropriate for you. The seller has the power in this market, so you may only get one chance to make an impression. This isn’t the time to negotiate a lower price. Your offer is one of many the seller is likely to receive, so you need to come in with the highest and best offer you can. You can also offer to pay a certain amount in cash if the appraisal is lower than the purchase price, which is known as an escalation clause, or offer a specified amount over the highest offer received to have a better chance at getting the home. Some sellers are only looking to profit from their home, but others have a more emotional connection. Sellers who lived in their home for a while, raised their children in it or had other powerful memories may feel strongly about giving it to a new family that will get the same enjoyment out of it. Along with your offer, write a personal letter to the seller with pictures of your family, which may move them to choose you over another buyer. The rules of an earnest money deposit vary, but putting down a large deposit is a gesture to the seller that you’re serious about the home. Before offering an earnest money deposit, however, it’s best to check on the expected size and when you’ll get it back. It may seem futile to put in an offer on a house that has a pending contract, but keep in mind that things change. Issues revealed during inspection and with financing can cause a buyer or seller to back out, so if you really like the house, put in a backup offer that will put you in the position to buy if something changes. Offers are contingent on a buyer getting a mortgage, the results of inspection and the appraisal lining up with the purchase price. If any of those fall through, the seller loses the time and energy they put in, only to have to deal with the next round of buyers. Waiving these contingencies is a risk, but it can make your offer more appealing to the seller. Another option is to move the inspection up or get the financing early, which shortens the time period to sale and isn’t as risky as waiving contingencies altogether. Strategy is the most important thing if you’re trying to buy a quality home in a seller’s market, which is why it’s necessary to work with an experienced real estate agent. In addition to negotiating with a seller effectively, a real estate agent can also find you additional home options and help you navigate this competitive market. Working with a real estate agent is practically free for a buyer as well, since the seller pays the commission. If you’re looking for quality homes for sale in Cumberland, give us a call at RE/MAX Northstar. Our experienced real estate agents know exactly what it takes to get the home of your dreams in this market, so contact us today to get started on your home search!